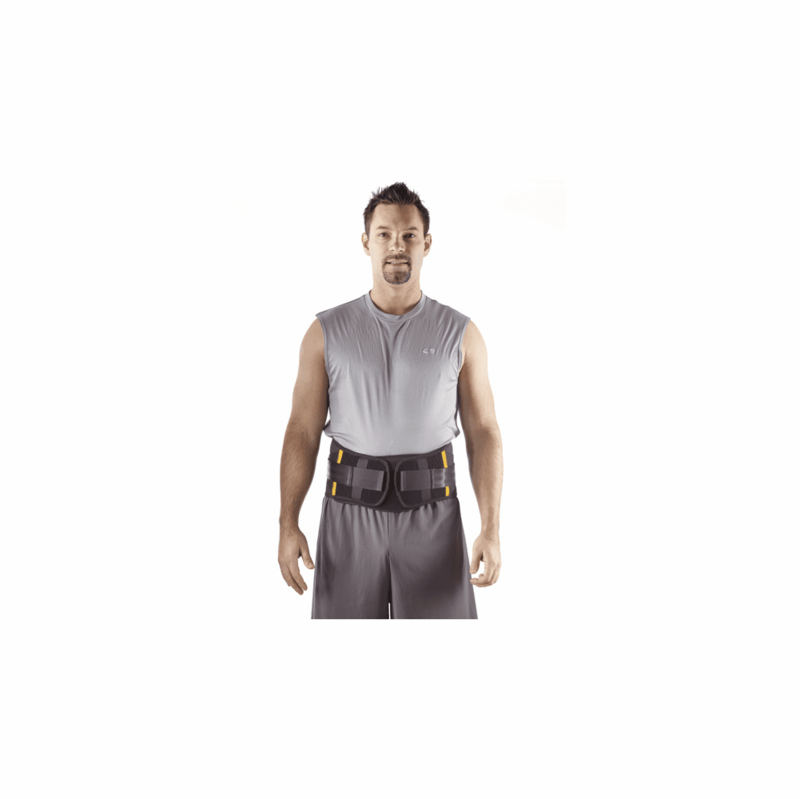 descriptionOffers support from T9 to SC junction; features a modular design that helps relieve back pain by reducing intradiscal pressure through circumferential compression; 6″ anterior and 15″ posterior panels accept anatomically designed inserts along with a gel pack that provides the benefits of cold/hot therapy. Indicated for chronic or acute back pain, discogenic disc disease, post-surgical stabilization, spinal stenosis, herniated disc, stable non-displaced spinal fractures (L2-L5), radiculopathy, sciatica, spondylolisthesis, facet syndrome and general weakness of the lumbosacral spine. Constructed of soft breathable fabric with contoured rigid A.B.S. anterior and posterior plastic inserts, elastic double pull and contact closures.